At any given time, I've either had no pickles in my fridge or I've had an overly large array of them in various shapes and styles. Why? Because I never know which one I will like. Too sweet, too sour, too soft, too crunchy. And so they accumulate until I get frustrated and get rid of all of them leaving me with no pickles when I feel like having a pickle. Clearly the solution to this pickle problem is to just pickle my own, right? 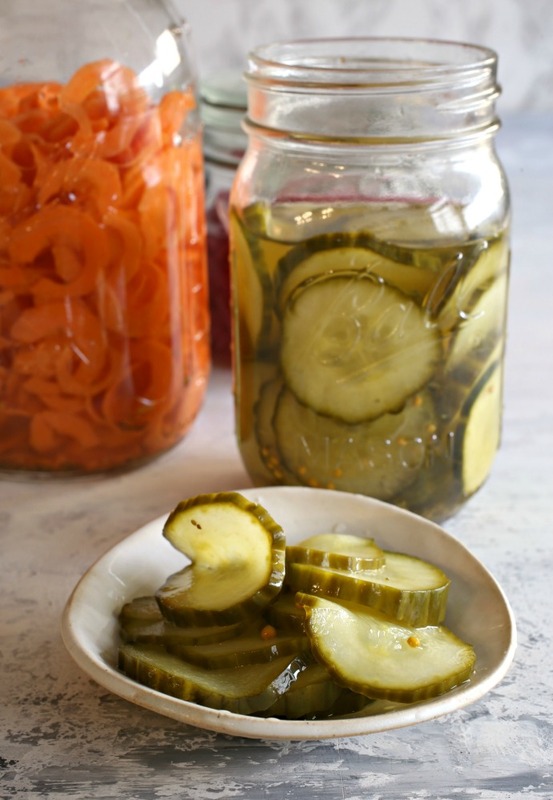 I'm not a canner and I don't put up a batch of preserves every summer (much as I admire people who do), so we're talking quick pickles here. Quickles! 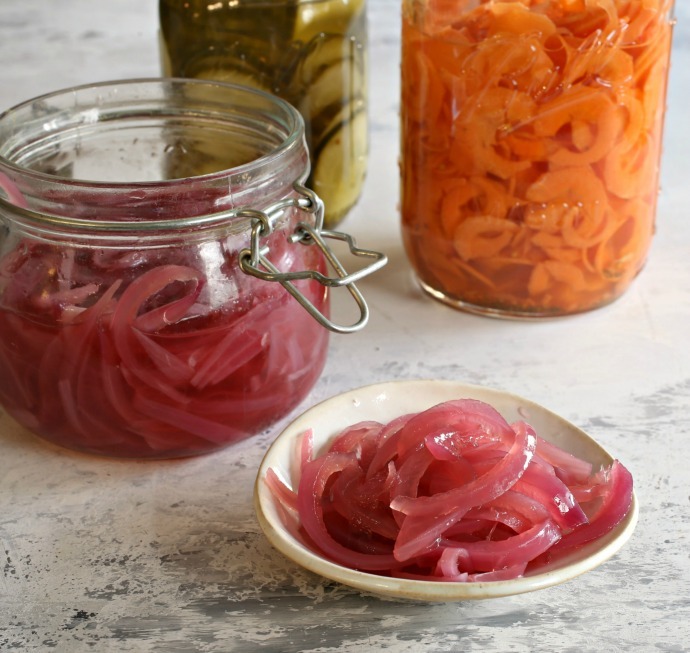 I have made pickled red onions quite a few times in the past and I've had a chance to get the proportions the way I like them. Not too sweet and not too briny. So I made one big batch of the brine and just added or subtracted ingredients based on what I was pickling. 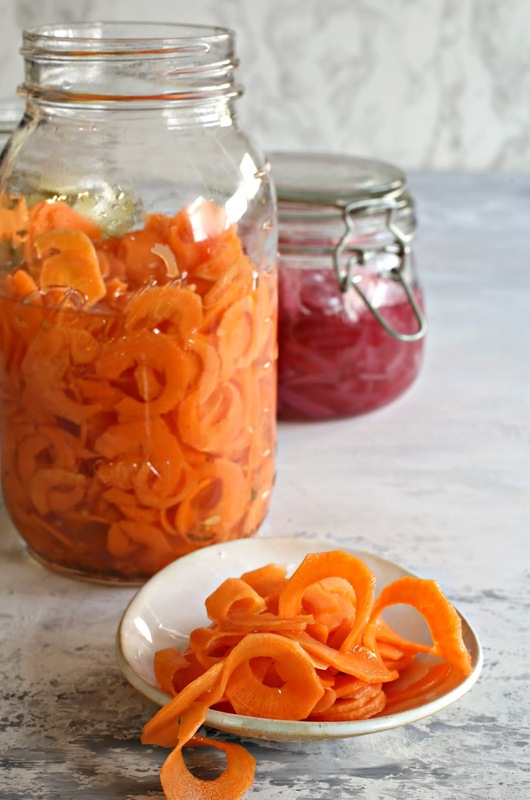 The carrots, cucumbers and red onions are all perfect compliments to sandwiches and tacos so it's great having the jars in the fridge for quick additions. 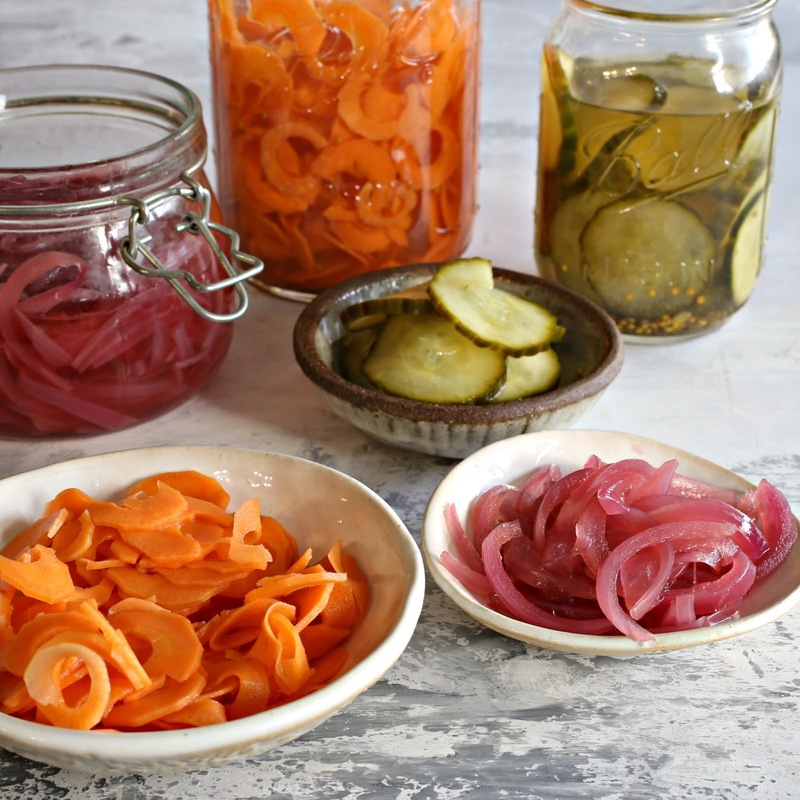 Other great pickling ideas would be radishes and cauliflower. And once you start, it's kind of fun doing quickle experiments. Enjoy! Add the sugar, vinegar, salt and pickling spice to a large pot. Heat to dissolve the sugar and salt and then bring to a boil. Add the vegetable (red onion, pickles or carrots), cover and remove from the heat. Allow to cool down this way (about an hour) before adding to a lidded jar and storing in the refrigerator. 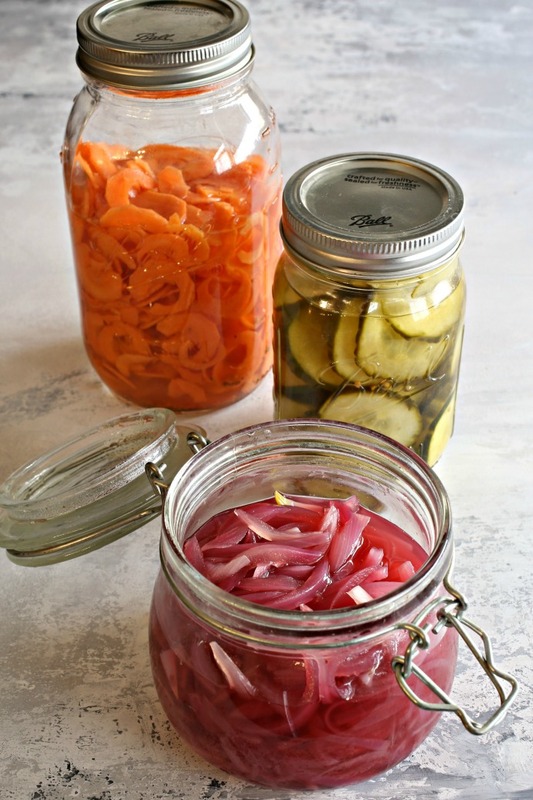 Pickles are best after at least 24 hours and can be stored in the fridge for up to two weeks. Note that I prefer my red onions without the pickling spices and enjoy adding a small bunch of fresh dill to my jar of cucumbers.